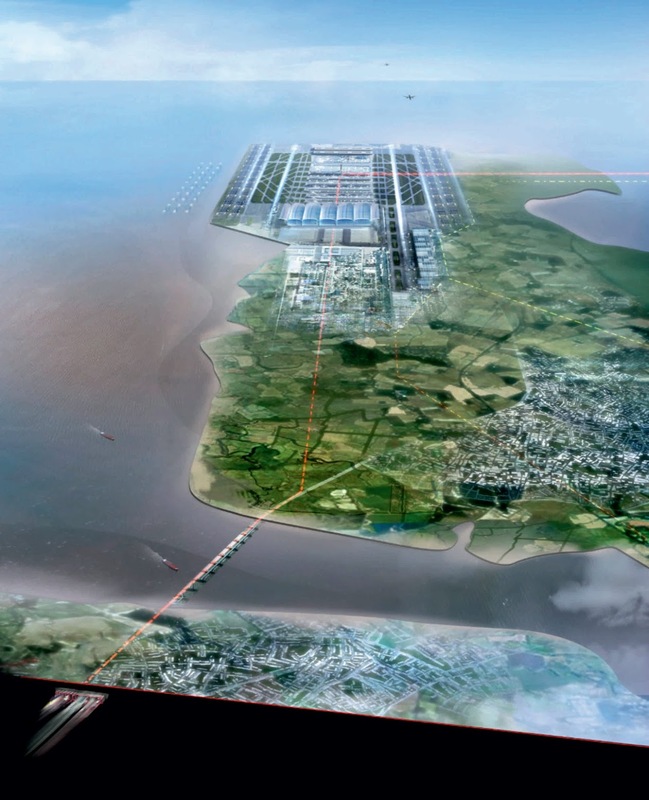 London Mayor Boris Johnson supports a new Thames Estuary airport while architect Lord Foster has submitted his own estuary airport plan, considers the proposed Thames Hub, an integrated infrastructure plan for Britain, inspired by the lessons of nineteenth-century pioneers. 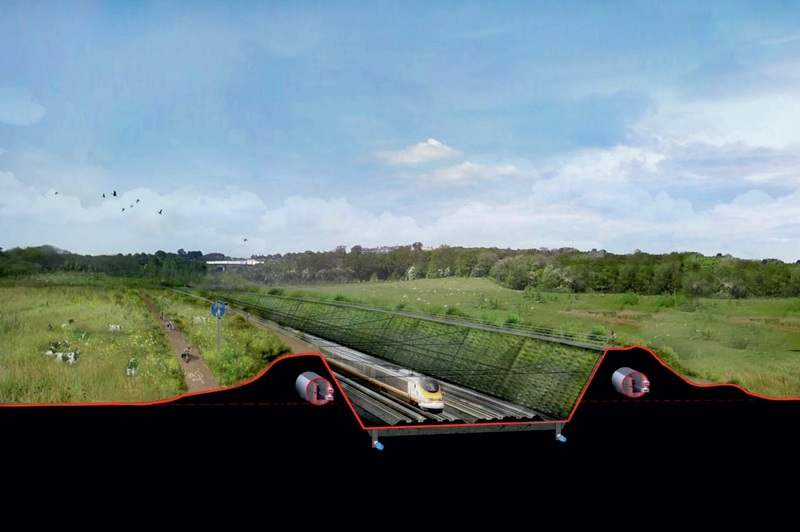 Further studies have been undertaken into the proposed Thames Hub, which includes: a £20bn high-speed Orbital Rail line around London; a new £6bn Thames Barrier and crossing; and a £20bn international Estuary Airport, with annual capacity for 150 million passengers. All of this takes place in the context of a comprehensive environmental management strategy that minimises the impact of development and provides opportunities to create significant new wildlife habitats to more than offset losses elsewhere. The total estimated cost of the project is £50bn. 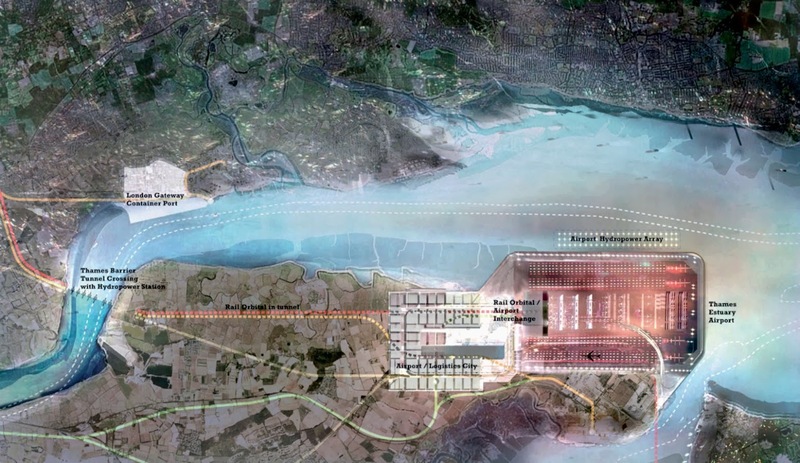 Critics of the Thames airport proposals have said that building an airport in the estuary, off north Kent, could take decades. But Huw Thomas, from Foster and Partners, said the time from starting work to opening would be seven years. 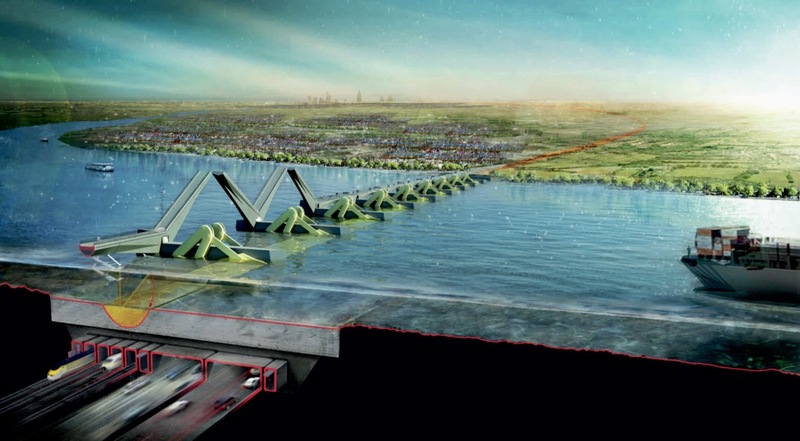 He said the key advantage to the site was that it could be reached from three sides by sea. "You've got to move a motorway junction for the primary access. You've got to suppress the roads. You've got to demolish all of that infrastructure. 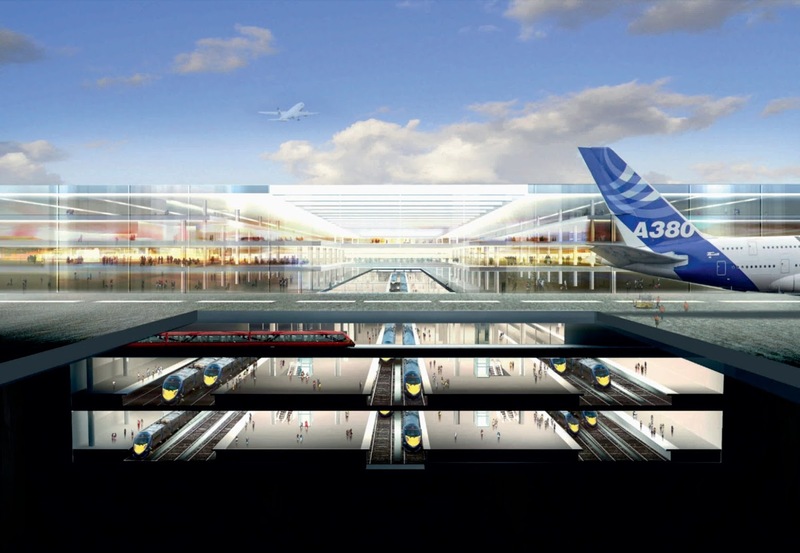 You've got to reconfigure the whole of the airport in order to get to that third runway." 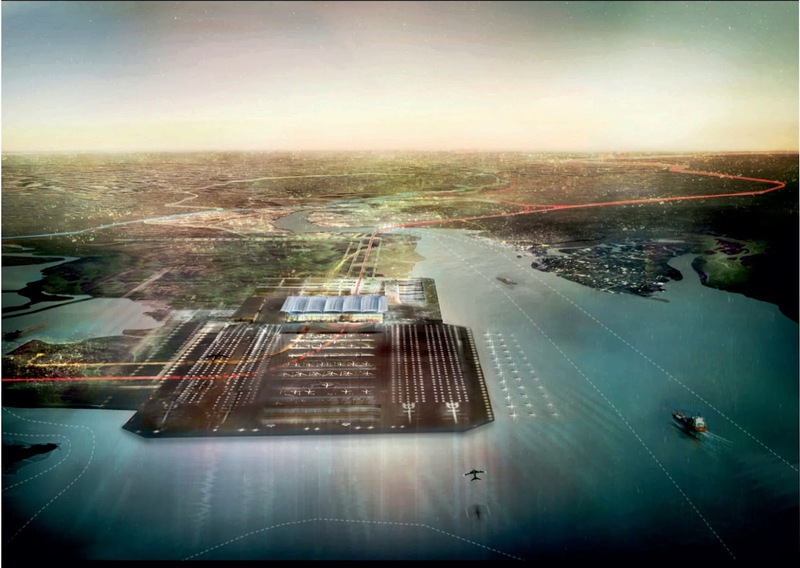 The three plans to build airports in the Thames estuary comprise a floating airport designed by architects Gensier, another known as ‘Boris Island’ after it was backed by London mayor Boris Johnson, and proposals for a hub airport on the Isle of Grain designed by architect Norman Foster. 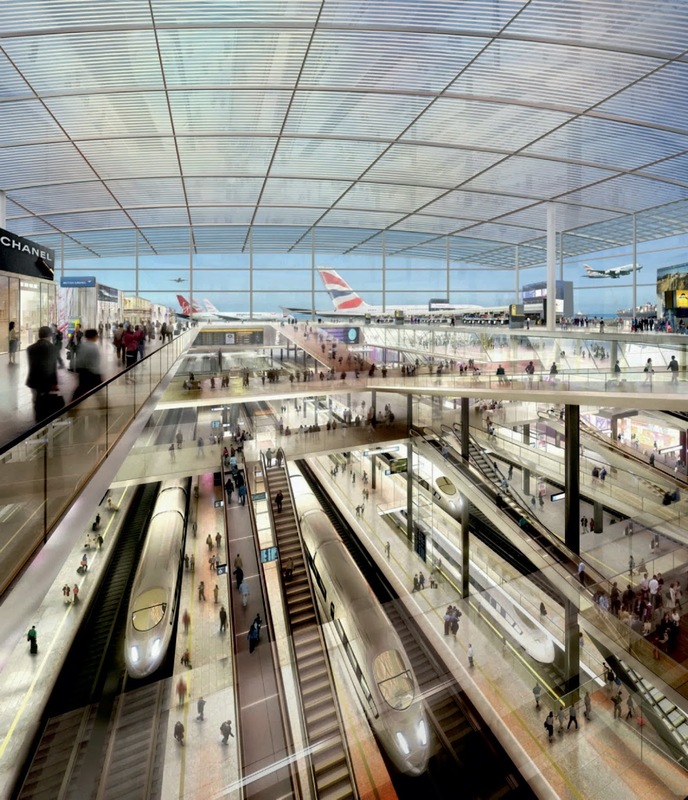 Proposals for increased airport capacity in the southeast have also included the expansion of Gatwick and Heathrow and more use of regional airports.